Keep in mind that you are going to be mined for data as a valuable source of knowledge as more of the global corporate structure decides that biking for transportation is marketable. My friend Davey Oil, who I've fangirled about on this site before, lives in Seattle. He and his partner have two adorable children, and Davey has a lot of experience in the kids and family bike world. Davey writes a blog called Riding on Roadways where he frequently shares about his experiences biking with his kids, and he ran the adult and volunteer programs at the kids education organization Bike Works for many years. As a wildly charming and well-appointed gadabout, he is something of a mascot for this community. 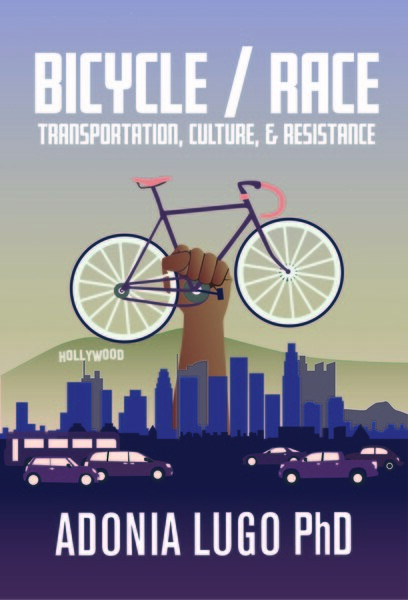 This morning I dragged myself out of my dissertation haze long enough to find out why Davey had contacted me yesterday, and saw that he had found a project online called "Family Bike Life." This project has a clean, stylish website that asks people who practice family biking to share their insights and tips. The website says that the people gathering this information are "obsessed" with family biking, framing themselves as thirsty for knowledge. Davey looked further into the project and found that it is part of something called the Lead User Innovation Lab, which lists IKEA as a partner, and is housed within a larger firm called Interactive Institute Swedish ICT. So is the design firm thirsty for knowledge because of personal interest, as the term "obsessed" would imply, or are they looking for family bike stories that they can deliver as a product to a client? A network such as the family bike folks shares ideas through its social events and active life online. And, being willing and able to experiment with something many Americans see as impossible, they want to share their knowledge with more people. More and more bike shops are opening with family biking as the focus. This is a community that wants to make it possible for more people to ride bikes with kids, and from what I've seen as an outsider, they're also pretty darn media-savvy about how to do that. But should the knowledge that they've formed as a community become a source of value to a firm with no social connections to the family bike network? On their website, under a tab entitled "Our Offer," Interactive Institute Swedish ICT gets down to business: "We explore future user experiences through human-centered information and communication technology. With our unique expertise in visualization and interaction design we create business opportunities in new and existing markets." Based on this description of their firm's services, the Family Bike Life project seems to be asking family bike enthusiasts to give away information that Interactive Institute Swedish ICT can package and sell. This caught Davey's eye because he is about to open a shop, the G & O Family Cyclery. I got to hear about this project over the last year while it developed, and I know that Davey plans to create a space where knowledgeable people like him can make family biking more accessible for more families. Opening a bike shop is a strategy for achieving this. And I know that he in no way wants to keep others from family biking by guarding this knowledge; that is not the issue here. The issue here is framing one's corporate research activity as a feel-good "share your experience" survey, when the firm gathering the data plans to sell it as a product to some other entity. Of course, I'm an anthropologist, so I do think that there is a lot of value to using ethnographic methods to investigate the less quantifiable aspects of social and cultural life. I do want to see ethnography taken seriously as a means to make change. But instead of empowering the family bike community to take their message further, Family Bike Life's firm appears to be packaging the information people volunteer as a deliverable. I am reminded, of course, of Graeme Wood's article about ethnography at design firms that made the rounds earlier this year. But, closer to home, my mind also goes to my own research, which focuses on how bicyclists become "human infrastructure" by sharing exactly the kind of information that this firm is trying to mine. Jean Lave and Etienne Wegner's very influential concept of the "community of practice" seems to be at the heart of this firm's project, where they recognize that the family bike subculture transmits information between its participants without necessarily sharing it with the public. The entry point for this firm has been the subculture's desire to share their knowledge with others who appear interested. The anthropologist Julia Elyachar has been doing fascinating research on what is made possible by "tacit knowledge" in Cairo. Her writing has emphasized the embodied nature of these forms of knowledge, how people take action through informal systems and social networks. And these forms of knowledge are increasingly being seen as something valuable by the global development network. How do we claim the human infrastructure we produce, and then also share it more widely? It is part of our communicative ability as humans that material objects take on symbolism which can circulate beyond the original social contexts of production. We don't have to give consent for people to use our ideas or images in public spaces. It's much easier to find examples out there that show how to exploit subcultures rather than empower them, given our capitalist economic system where everything that isn't copyrighted is fair game to manufacture and sell. I'd love to hear others' ideas about how to keep tacit knowledge tied to making communities of practice by making them more inclusive.